Mountain Tile and Stone, located in beautiful Boone, North Carolina, is dedicated to helping customers make selections they will be happy with for years to come. We offer the largest tile showroom in the High Country and are equipped with the latest lines in ceramic, porcelain, marble, granite, and travertive tile available. 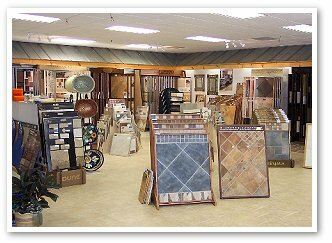 If you are building a custom home, remodeling an existing home, or would just like to browse our wide selection of tile, feel free to stop by our showroom. One of our knowledgeable sales people will be glad to assist you. Feel free to browse our website to learn more about Mountain Tile and Stone as well as view some of the tile and other products that we offer. We offer free estimates so bring your blueprints and your ideas. We can handle the rest.